Just like we measure day-to-day things like time in seconds, mass in kilograms, height in meters; computer memory and disc space are measured based on bytes. 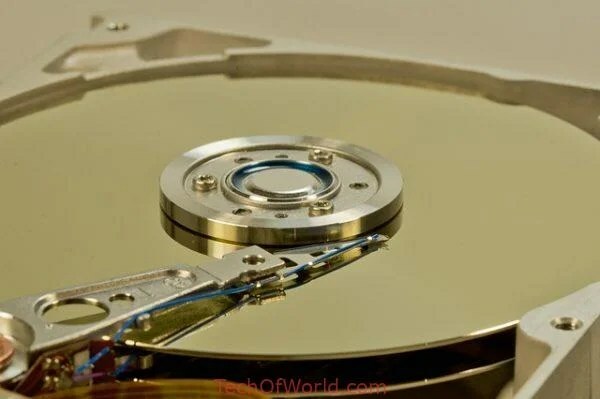 You would have probably come across terms like Kilobytes, Gigabytes, Terabytes, Petabytes, etc., especially when you are buying a new laptop or a phone or a new storage device like a hard disk. These terms are most commonly used metrics of data storage capacity and are useful when you want to buy a new digital device based on memory. That being said, have you ever visualized how much memory space is available in the real for gigabytes, terabytes or a petabyte? These units of measurement are most often confusing at first glance and understanding these terminologies is quintessential for anyone who works with a computer. To understand how exactly the computer memory and data storage capacity works, you need to be able first to understand how much space a byte, kilobyte, gigabyte, terabyte, petabyte or an exabyte describe. To gauge the exact size, you need first to understand how a computer works. How big are byte, kilobyte, gigabyte, terabyte, petabyte & exabyte? Computers use a binary number system for the basic representation of a number. Unlike the decimal system generally referred to as base ten number system that uses ten numerals 0, 1, 2, … 9; the binary system has only two numerals 1 and 0. Although we don’t actually directly deal with 1’s and 0 ’s, these two digitals play a significant role in how computers work. With these two digits, we can count up to any numbers. A decimal number can be converted to binary, and all of this math is done by your computer. Computers are made up of electronic circuits and wires, and these electronics circuits carry all the information in a computer. All the information is stored and represented using electricity. Like I said before, computers are made of signal wires these signal can be either on or off. This on or off state of wire is called a Bit. This bit is the smallest piece of information the computer can store. If you have more wires, you get more 1’s and 0’s with more bits. And more bits can be used to represent a piece of complex information. What is important here, is that any number can be represented with ones and zeros or by a bunch of wires and transistors that are on or Off. The more the wires or transistors, the larger number you can store. Suppose you want to store information like text, images or sound, all these can be represented with numbers. These numbers can then be stored as on or off electrical signals. A binary number can be either 0 or 1 which represents the switch as off or on respectively. This On or Off state of a switch is called a bit. A byte is a collection of bits, and a single byte is made up of eight binary digits. Bits are grouped as eight binary digits because most of the memory chips have an electronic circuitry of eight pathways with each pathway having either on state or off state. A byte can represent 2^8 (256) distinct values, ie, .1 byte can represent values from zero (00000000) to 255 (11111111). Megabyte contains 1024 kilobytes. Generally, when we prefix mega, it suggests a million bytes. This holds true for the decimal number system that is based on factors of 10. Since we need to represent in computer binary system, we need to use a binary factor of 2’s to represent bytes. That means a Megabyte contains 1024 kilobytes. Gigabyte contains 1024 megabytes. Generally, when we prefix Giga, it suggests a billion bytes. This holds true for the decimal number system that is based on factors of 10. Since we need to represent in computer binary system, we need to use a binary factor of 2’s to represent bytes. That means a Gigabyte actually contains 1024 megabytes. To gauge how exactly it consumes memory, let us consider that you have a 2 GB of the disk drive. With 2GB of capacity, you can store around 500 music tracks. A petabyte is almost one quadrillion bytes. In computer binary system, a petabyte is 1024 terabytes of data. This size is quite hard to imagine practically. Nowadays most of the modern technology processors and servers store over petabytes of information. To put it in perspective, one petabyte sized memory can store over 10,000 hours of TV programming shows. Exabyte or EB is a very large unit of data storage. 1 EB = 1000 Petabytes. Hope this clears up the air! Previous What is Windows RE? How to boot to Windows Recovery Environment?